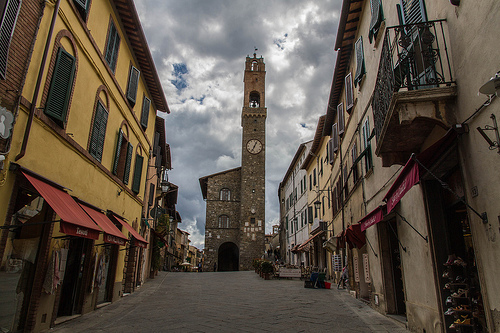 Since 1958 the last weekend in October is marked with pageantry, camaraderie, competition and food in the southern tuscan hilltown of Montalcino. 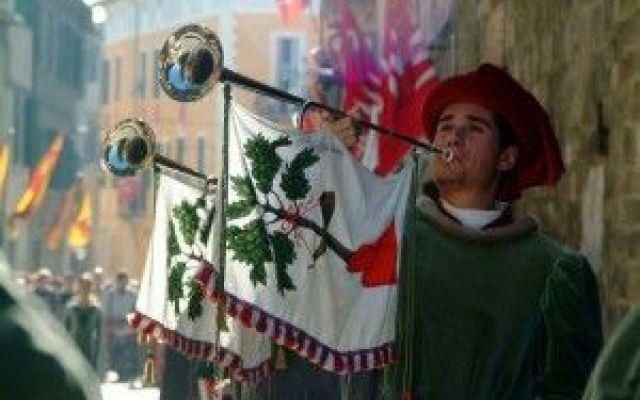 I attended the Sagra del Tordo (Feast of the Thrush) in October, 2011 and was not disappointed. From the first drumroll and blasts of trumpets, through the parade of about 150 locals and the archery competition, there wasn’t a dull moment. It is evocative of hunting traditions of the past when hunters and falconers would go into the woods, bring back their spoils and everyone would feast, noblemen and commoners alike. Surrounded by the golden, late fall sunshine and colorful leaves that mark autumn in this region we established our place on the parade route and watched as participants paraded through town making various stops along the way to the fortress. It was the first (and only) time I have ever been up close and personal with two ghostly Chianina bulls; they dwarfed me as they walked past pulling a cart, I don’t even think I came up to their shoulders! 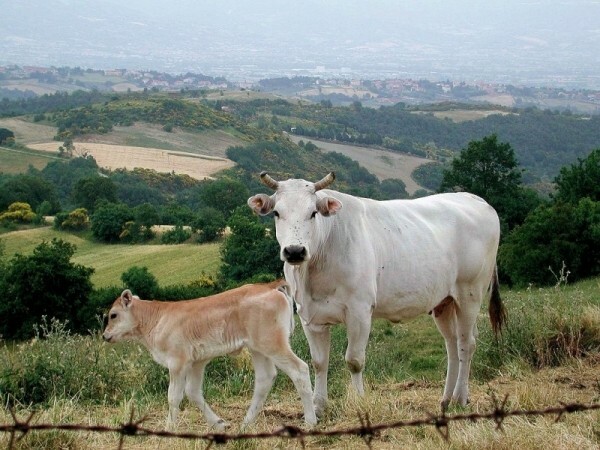 The Chianina produce the Bistecca Fiorentina, a massive steak served throughout the region and Italy. Montalcino is split into four neighborhoods (quartiere) each with their own tribal colors: Borghetto (white and red), Pianello (white and blue), Ruga (yellow and blue) and Travaglio (yellow and red). During the celebration two archers from each quartiere compete in an archery competition. The losers suffer insults and jokes of the winning team for the next year. Each quartiere also has a food booth in the main park “Giardini Impero” outside of the Fortezza serving several courses of food; you can pick and choose what you buy from each and eat at the picnic tables provided. The food is great, inexpensive and best of all, local. Let’s not forget, this is the home of the famed Brunello di Montalcino, a hearty Tuscan red that’s produced with 100% sangiovese grapes. 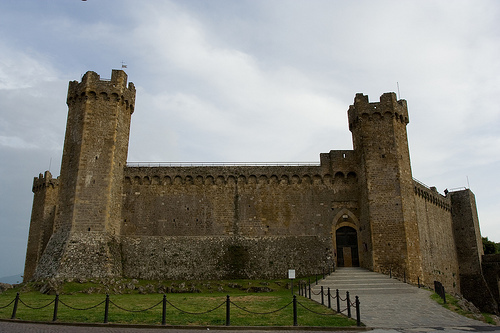 Try the wine at one of the food stands or venture into one of the many tasting rooms located around town and at the Fortezza.